The History Of Beef Jerky | Bigwig Jerky Co.
What has become a staple in many household pantries or road trip bags around Australia, beef jerky started from humble origins. Now, it is a favoured snack to enjoy for its low fat and high energy content. 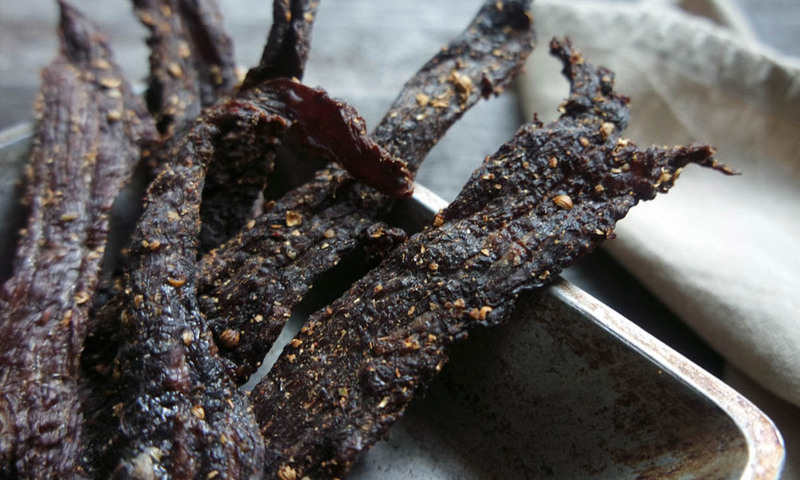 When consumed and enjoyed in moderation, beef jerky has many health benefits for the body. The origins of beef jerky started somewhere in South America and have now spread to many continents and areas of the globe. The actual word of jerky comes from a South American tribe called the Quechua. They were originally part of the ancient Inca empire, dating back to the 1500s. In their language, the word is ch’arki which literally means “to burn meat”. This is highly appropriate given that before ovens, the beef was dried over a fire. Originally, the Quechua people would turn the meat of alpacas and llamas into jerky, since these animals were the most plentiful and easy to raise for them. So the word jerky is really just referring to the process of how to the meat is dried. Beef just happened to become one of the most popular meats to jerky, as such. Other popular meats today include turkey and pork. Back with the Quechua people, they would bone and defat the meat of a llama or alpaca. The meat would then be cut into chunky slices and pounded with a tool until it became thin. Next, they would rub a good serving of salt over the meat. The meat would then be dried by the sun or smoked over a fire. During the Spanish conquering, this style of preserving meat was admired and adopted. It was then given the name of Charqui. This Spanish accent twist on the word brings it closer to the word jerky that we use today. The reason that jerky became such a staple in many diets back then was because it was such an easy way to preserve meat and keep make it last for longer. When food became scarce for various reasons, people could always rely on their jerky to sustain them. The low fat content and high protein levels made it healthy and sustainable for these societies. 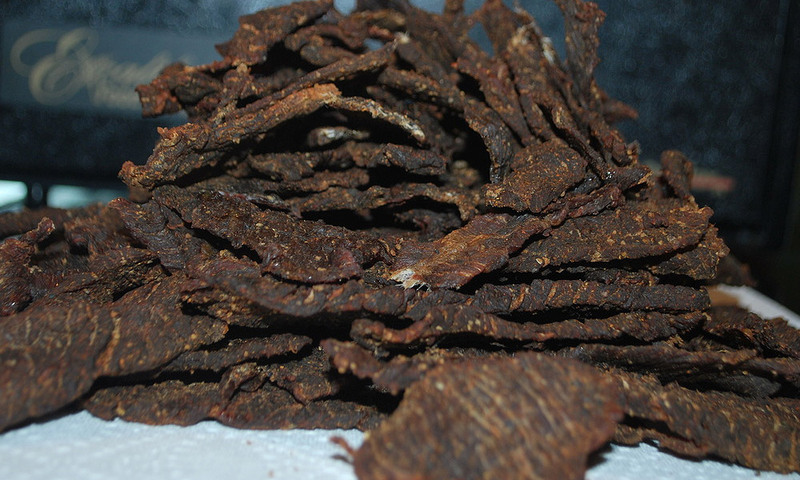 Beef jerky also went on to become a staple for the early American cowboys and pioneer settlers. While the Quechua tribe were creating this style of jerky for their meat, a similar process was happening in North America. Here, the Cree Indians were developing the product of pemmican. This was a large, concentrated mixture of fat and protein that was collected from large game animals. This included the meat of buffalo, elk, or deer. Often, cranberries, saskatoon berries, or whatever was available at the time was also added into this concentrate. A similar process took place with this, where the Cree Indians would cut the meat into slices and add some salt. Then they would either dry the meat in the sun or roast it over a fire. This meat was intended to become brittle and hard. Once this was dry, they would pound it into small pieces using a large stone. Then, this would be added to crushed dried fruit and kept as a power in rawhide pouches. It could then be mixed with boiling water for a soup like meal. Thankfully, these native American groups did teach the European explorers and settlers their clever way of preserving meat. Thanks to the ingenuity of these early tribes, the Europeans were able to adopt a way of preserving meat and creating a healthy, long lasting snack. Jerky became most popular when North America began to expand with European settlers. Traders and explorers began to share and prize the idea of jerky as an essential source of nutrients while traveling on the road. The best thing about jerky during this time was that it could be done to any meat, meaning the options were endless. As European expansion continued across the Americas, more and more types of meat were being made to jerky. It saved many lives and enabled people to go to more places, explore more terrain, and have less worry about running out of supplies and food. It certainly enabled the pioneering and expansion movement to progress to new levels. Obviously, this has lasted long enough to have been adapted, experimented with, and manufactured over time. Although now we have machines to create the jerky and different process, the same principle remains. What’s more, we should always remember that the native tribes would use fresh meat from animals who were range fed and not harmed. This is what gave them the best meat to jerky and a similar ethic we should be following for the future of this handy, healthy snack. Enjoying beef jerky made from quality companies with range fed cows and handmade curing solutions is the way to go to get the best out of this snack.